It can be difficult going from one dealership to another, looking for the right vehicle that meets your needs in the Fort Wayne, IN area. We do our best to make sure that you can easily browse our inventory online or in person at our dealership. With our many great used cars for sale or used trucks for sale, you can easily find the right one for you and your family. We are able to do more than just sale you your next vehicle, our service center is able to take care of any service and repair needs. Feel free to give us a call or stop in to ask us a questions. Even if you have bad credit or no credit, as your Buy Here, Pay Here dealer, we can help with our bad credit loans. Directions to Lucky 7 Car Store Fort Wayne from Fort Wayne, IN. Directions to Lucky 7 Car Store Fort Wayne Mishawaka from Fort Wayne, IN. Directions to Lucky 7 Car Store Warsaw from Fort Wayne, IN. When you are looking for a used cars for sale in the Fort Wayne, IN area, make sure to check out our inventory. We do our best to provide you with a large selection of vehicles so you can find the one you want with ease. We are ready to help you get back on the road in a vehicle you love. Make sure you get in touch with our sales team and see how easy they can make the car buying process. As your used car dealer in Fort Wayne, IN, we do our best to get you a great deal on the vehicle you need. We understand how important your time and money are, so we work hard to make sure that we do not waste it. We have many great used trucks for sale that you should check out so you can save even more money. No matter what kind of vehicle you are looking for, we want to help you find it and drive away in the vehicle of your dreams. Feel free to ask us any questions you may have. We also have many great used SUVs for sale in the Fort Wayne, IN area, that are worth a close look. The great thing about used SUVs for sale is that you can get a great price on a vehicle that has plenty of room for you whole family. When you plan on taking a vacation, there is also plenty of cargo space so you can bring everything you need along. Stop in today and see just how amazing our used SUVs are before you miss out on a great deal. 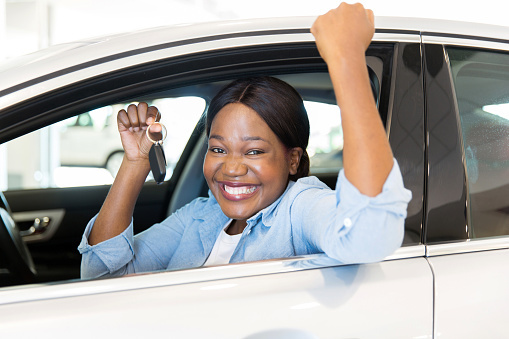 When it comes time to finance or lease your next vehicle, we are ready to guide you through the auto finance process with our Buy Here, Pay Here program. Our finance team understands and works hard with our bad credit financing. We also have provided many great resources so you can start figuring out your financial situation from home. The more you prepare from home, the easier and quicker it is when you come to our dealership. We are more than happy to answer your questions and help you get back on the road quickly.